NICE has published draft guidance recommending AstraZeneca’s anti-clotting drug Brilique (ticagrelor 60 mg) with aspirin for people who have had a heart attack. A higher 90mg dose of the drug is already recommended for 12 months after a heart attack, but the new recommendation would see patients taking it for a further three years to reduce their risk of another heart attack or stroke. In 2012/13 there were around 140,000 hospital admissions for heart attacks in England, many of them preventable by more widespread drug treatment. The draft guidance found that Brilique was cost effective in this setting, costing about £1 per tablet. The decision is great news for AstraZeneca, which is banking on further growth in Brilique – known as Brilinta in the US – to help increase its revenues over the next five years. Earlier this year the company suffered a setback when the drug failed to show superiority to aspirin in preventing secondary heart attacks or strokes. 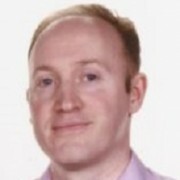 Analysts from Thomson Reuters Cortellis said at the time that strong results from the SOCRATES would have boosted consensus forecasts, which stand at an annual $1.87 bn for 2020. AZ has predicted sales could reach $3.5 bn by 2023, but will struggle to reach these heights without convincing data on heart and stroke prevention. 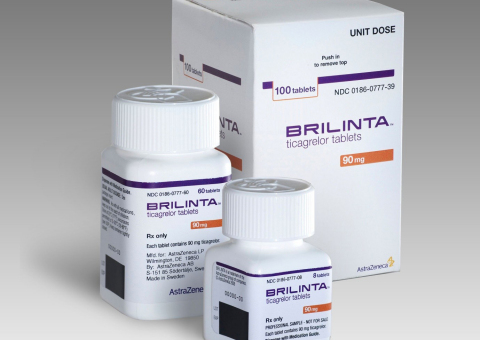 However, shortly after this disappointment, The American College of Cardiology and American Heart Association unveiled new treatment guidelines which named Brilinta as the preferred option for certain patients with acute coronary syndrome, putting it ahead of the generic gold standard clopidogrel. The guidelines recommend AZ’s drug in those with coronary stents and those who suffered a particular type of heart attack known as STEMI. The new NICE recommendation will offer the drug a similar boost – though its endorsements are never certain to have an impact on UK prescribing patterns. Professor Carole Longson MBE, NICE health technology evaluation centre director, said the drug had demonstrated its efficacy in cutting the risk of further heart attacks and strokes. “Despite the availability of effective secondary prevention treatments as many as a quarter of people who have had a heart attack go on to have another heart attack or stroke – often with devastating consequences,” she said. NICE says it didn’t recommend Brilique’s use beyond three years because of limited safety and efficacy data beyond this point. Sales of Brilinta/Brilique reached 395 million in the first half of 2016, up 48% on the same period last year. The next major milestone for the drug is a key trial readout in peripheral arterial disease (PAD). If the data is encouraging, the company will file for approval in this indication in the first half of 2017. Another major trial is THEMIS, which is investigating the drug in preventing major cardiovascular events in patients with established coronary artery disease and type 2 diabetes, but who haven’t yet suffered a heart attack or stroke. More than 19,000 patients have been recruited for the trial, from which results are expected in 2018.